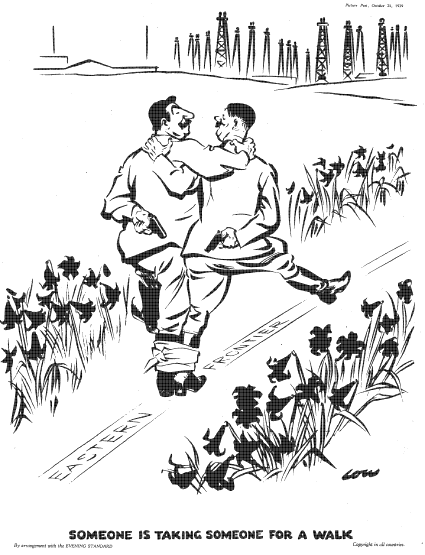 August 2009 marks the 70th anniversary of one of the most controversial diplomatic episodes in European and Russian history – the signing of the Molotov-Ribbentrop pact of 1939 between Nazi Germany and Joseph Stalin’s Soviet Union. How justified are the present-day attempts to draw parallels between Nazi Germany and Joseph Stalin’s Soviet Union? What political objectives do East European countries pursue with their politically motivated interpretations of history? What would be the right strategy for Russia to defend its legacy as the victor and liberator in World War II? Many East European countries use the pact as historic evidence of Moscow’s equal blame with Nazi Germany for unleashing World War II, while Russia tries to portray it as a case of Stalin’s calculated realpolitic, which helped him win more time before the inevitable war. As of late, this argument of Nazism’s and Stalinist bolshevism’s equal responsibility has gained increasing popularity. In July of 2009, the Organization for Security and Cooperation in Europe (OSCE) adopted a resolution (“Uniting a Divided Europe: Defending Human Rights and Civil Liberties in the OSCE Area”) that brought Adolf Hitler’s national socialism in line with Stalinist bolshevism as similar totalitarian regimes, bearing equal responsibility for the outbreak of World War II and the crimes against humanity during that period. The debate over this OSCE resolution, which Russia strongly opposed but failed to prevent from being adopted, has raised the issue of whether there is a threat of political and legal rehabilitation of national socialism in some East European countries, particularly in the Baltic states, Poland and Ukraine. In Ukraine, President Victor Yushchenko spared no effort in trying to portray Stalin’s regime as genocidal toward ethnic Ukrainians, while seeking to portray Nazi collaborators from the Ukrainian Liberation Army as national heroes who fought for Ukrainian independence and against Stalinist rule. In the Baltic States, veterans of SS divisions are openly praised as members of the national resistance to the Stalinist regime, while Estonians or Latvians who fought on the Soviet side against the Nazis are portrayed as traitors. The concept of the “Polish blame” for provoking the Nazi invasion and the ensuing world war has also been taking shape in Russia, resulting in the publication on the official Ministry of Defense Web site of a provocative anti-Polish article that the ministry was quickly forced to disavow. In a move of true historic significance Prime Minister Vladimir Putin traveled to Poland to deliver a commemorative address on the day World War II began, as Russia and Poland are about to put the so-called Katyn massacre (a mass murder by Stalin’s security forces of 22,000 Polish officers held as war prisoners after the Russian and German attack on Poland in September of 1939) behind them. How justified are the attempts to draw parallels between Nazi Germany and Stalin’s Soviet Union? Doest this have any bearing on the European politics of today? What political objectives do East European countries pursue with these politically motivated interpretations of history? Should Russia fight Western attempts to equate Stalinist bolshevism with national socialism, or should it ignore them? What would be the right strategy for Russia to defend its legacy as the victor and liberator in World War II? Published with permission of Russia Profile.